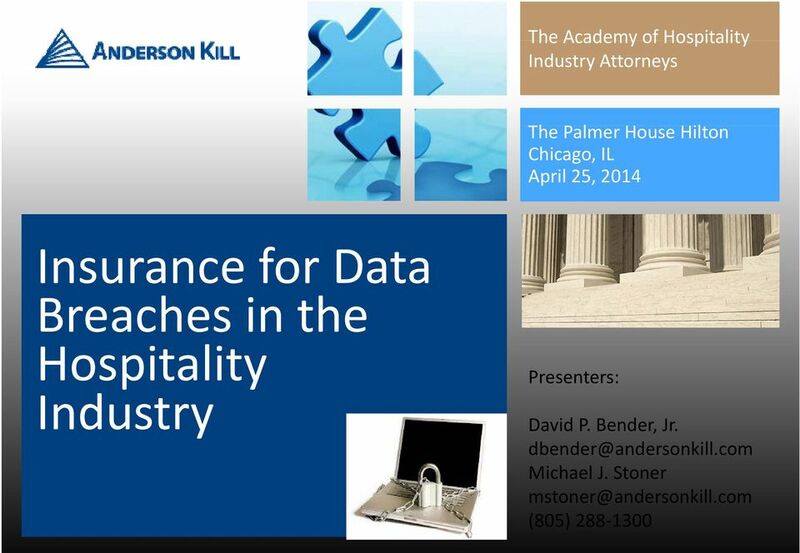 Download "Insurance for Data Breaches in the Hospitality Industry"
2 Disclaimer The views expressed by the participants in this program are not those of the participants employers, their clients, or any other organization. The opinions expressed do not constitute legal advice, or risk management advice. 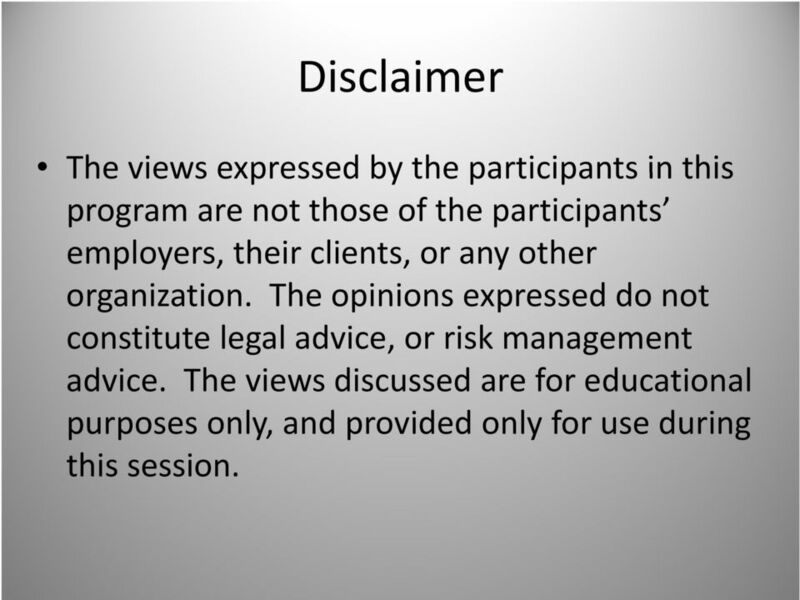 The views discussed are for educational purposes only, and provided only for use during this session. 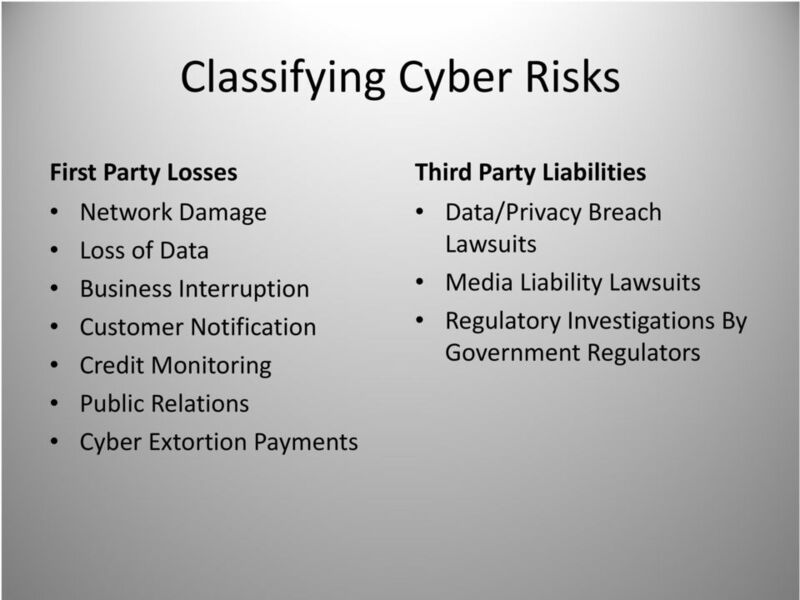 4 Cyber Risks Cyber Risks include a broad range of risks arising out of your computer systems, cloud based computing systems, information technology systems, and virtual reality. 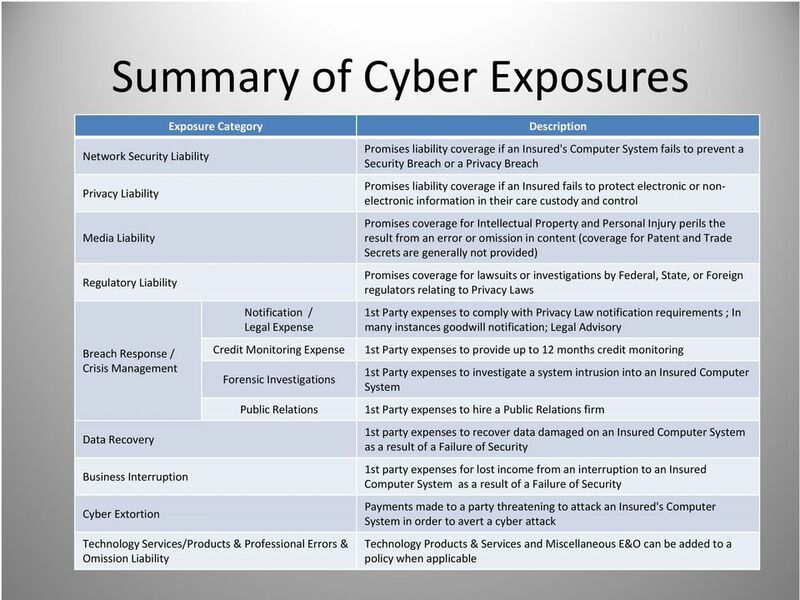 Cyber Risks includes data breaches by hackers and rogue employees, data loss, cyber vandalism, accidental malware downloads, DDOS attacks, cyber extortion, business interruption. Cyber Risks change with ever evolving technologies, hacker tactics, and employee sophistication. 6 Is The Hospitality Industry At Risk? 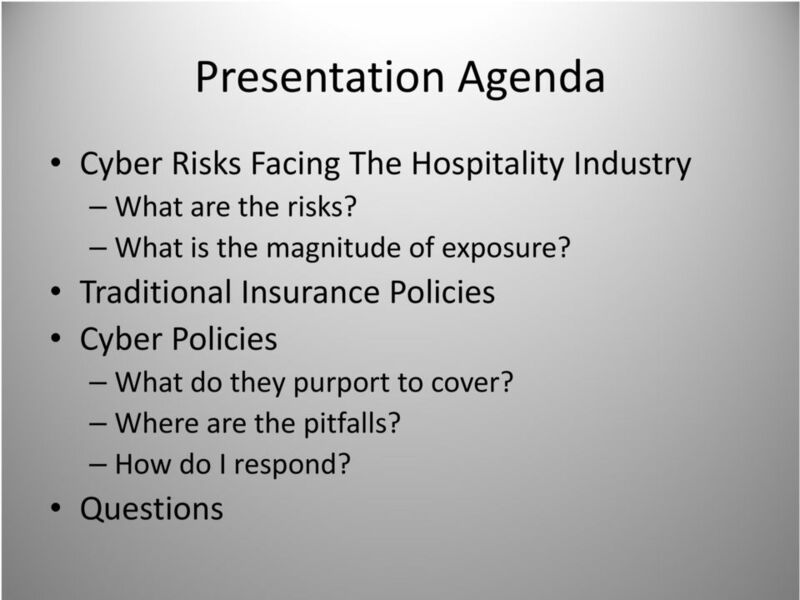 Hospitality Industry and Food and Beverage Industry often rank among the most targeted industries for cyber attacks. That s where the credit card information is. 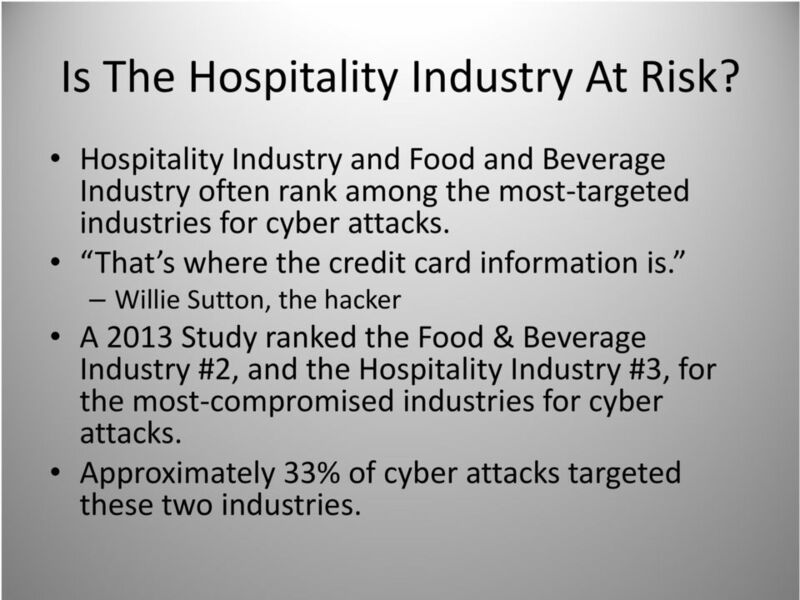 Willie Sutton, the hacker A 2013 Study ranked the Food & Beverage Industry #2, and the Hospitality Industry #3, for the most compromised industries for cyber attacks. Approximately 33% of cyber attacks targeted these two industries. 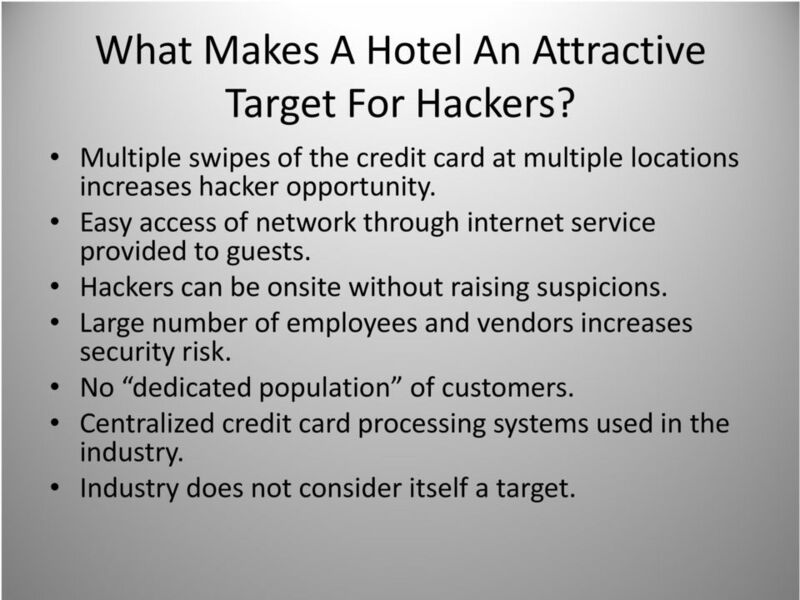 7 What Makes A Hotel An Attractive Target For Hackers? Multiple swipes of the credit card at multiple locations increases hacker opportunity. Easy access of network through internet service provided to guests. Hackers can be onsite without raising suspicions. Large number of employees and vendors increases security risk. ik No dedicated population of customers. Centralized credit card processing systems used in the industry. Industry does not consider itself a target. 8 Who Is Responsible For A Data Breach? 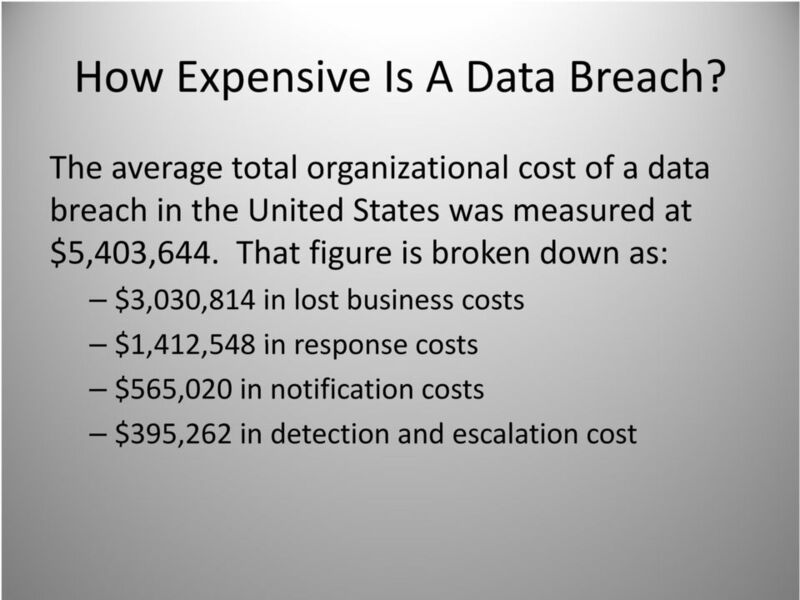 41% of data breaches in the United States are caused by malicious or criminal attacks. 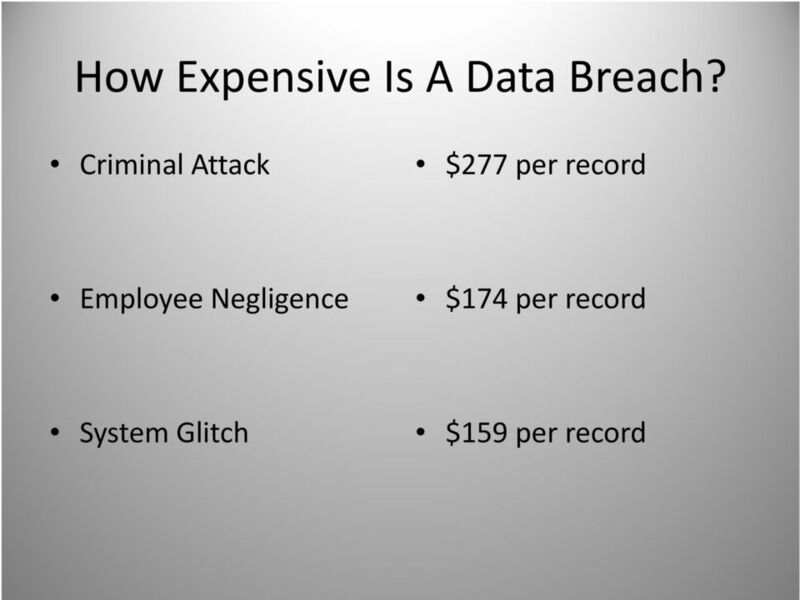 33% of data breaches in the United States are caused by the negligence of an employee or a contractor of the target. 29% of data breaches in the United States are caused by system glitches involving i IT and business process failures. 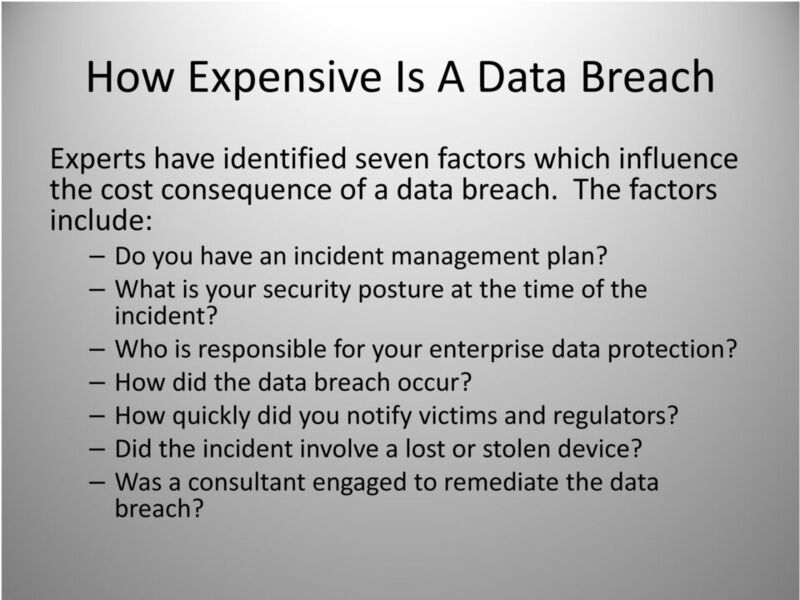 10 How Expensive Is A Data Breach Experts have identified seven factors which influence the cost consequence of a data breach. The factors include: Doyou have an incident management plan? What is your security posture at the time of the incident? Who is responsible for your enterprise data dt protection? ti How did the data breach occur? How quickly did you notify victims and regulators? Did the incident involve a lost or stolen device? 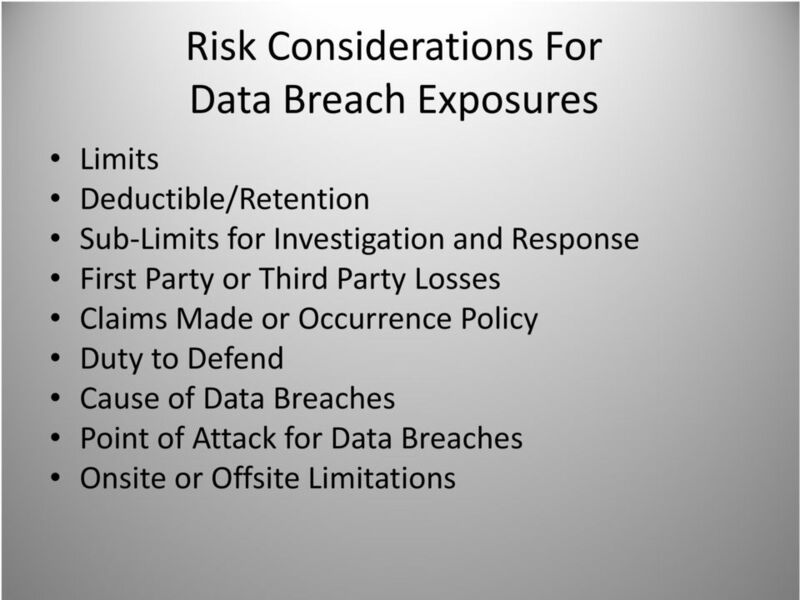 Was a consultant engaged to remediate the data breach? 12 Don t I Already Have Insurance? 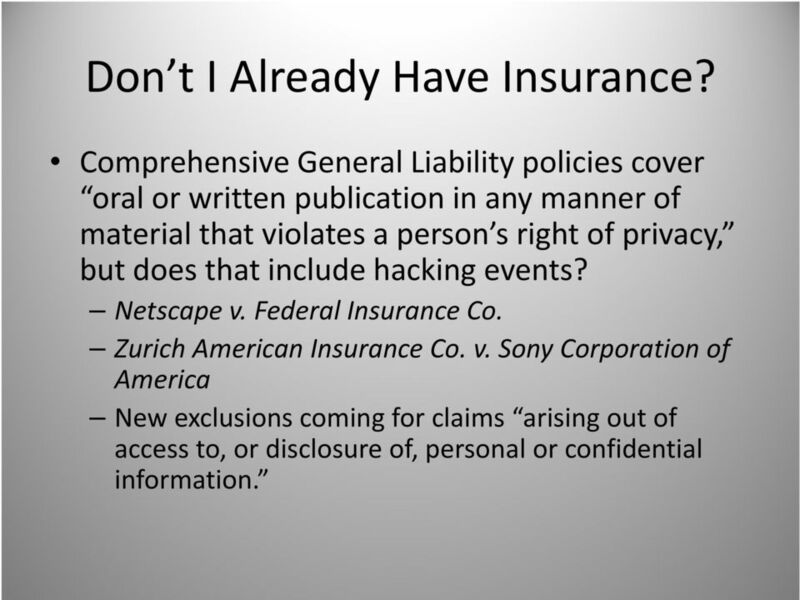 Comprehensive e egeneral e Liability policies cover oral or written publication in any manner of material that violates a person s right of privacy, but does that include hacking events? 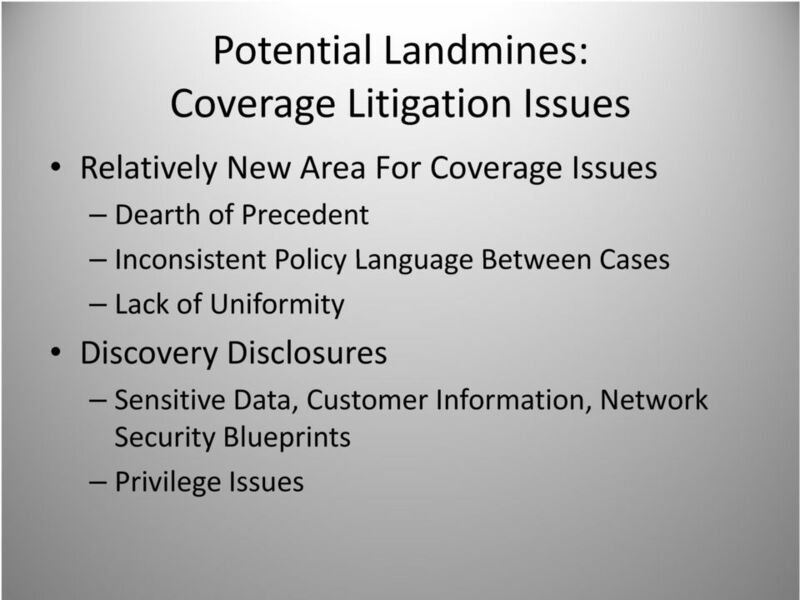 Netscape v. Federal Insurance Co. Zurich hamerican Insurance Co. v. Sony Corporation of America New exclusions coming for claims arising out of access to, or disclosure of, personal or confidential information. 13 Don t I Already Have Insurance? 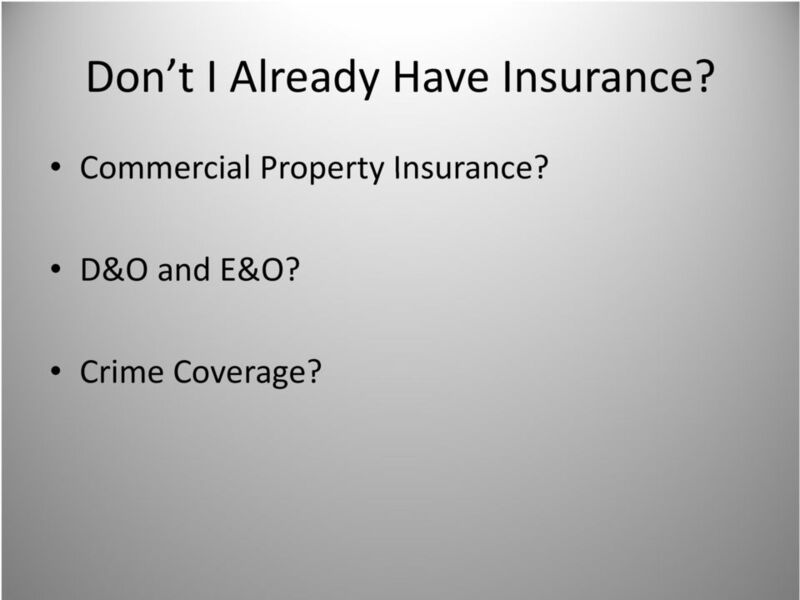 Commercial Property Insurance? D&O and E&O? Crime Coverage? 16 What do I disclose? 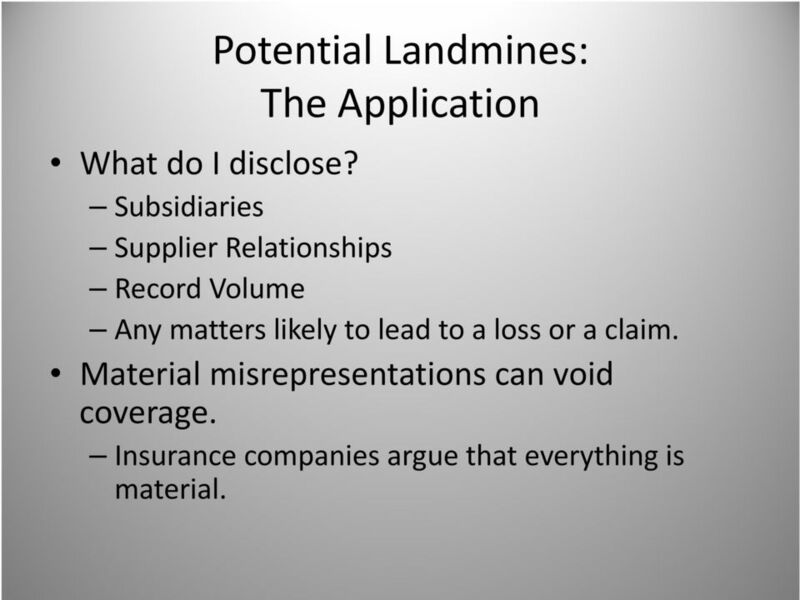 Potential Landmines: The Application Subsidiaries Supplier Relationships Record Volume Any matters likely to lead to a loss or a claim. Material misrepresentations can void coverage. Insurance companies argue that everything is material. 17 Who is an Insured? 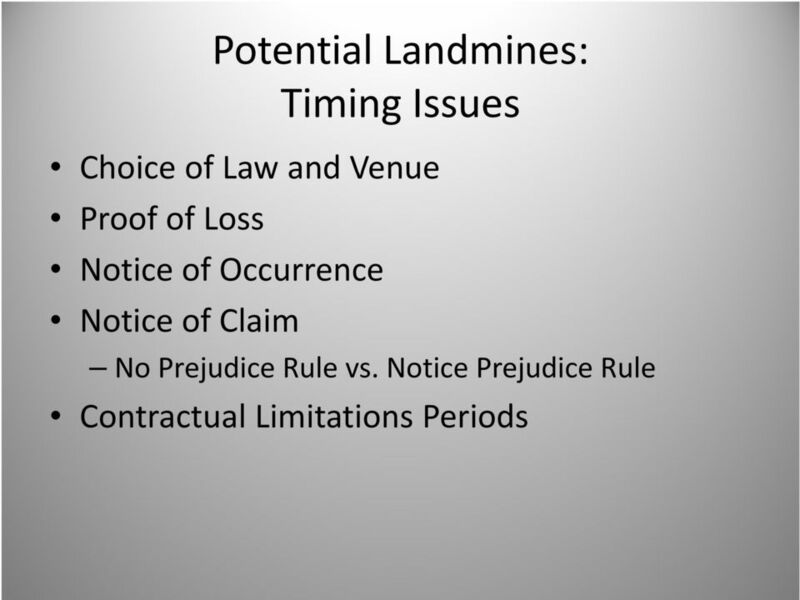 What is a Claim? What are Damages? 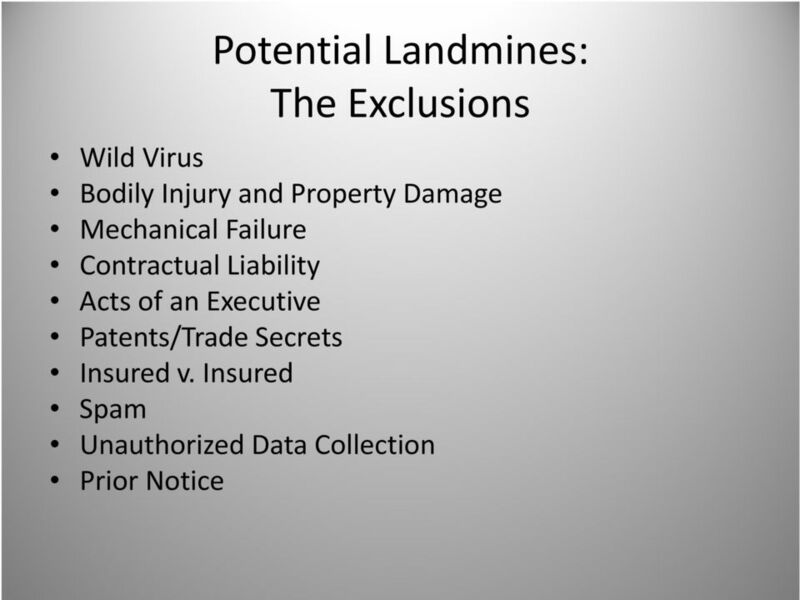 Potential Landmines: Who is an Employee? The Definitions Who is a Hacker? 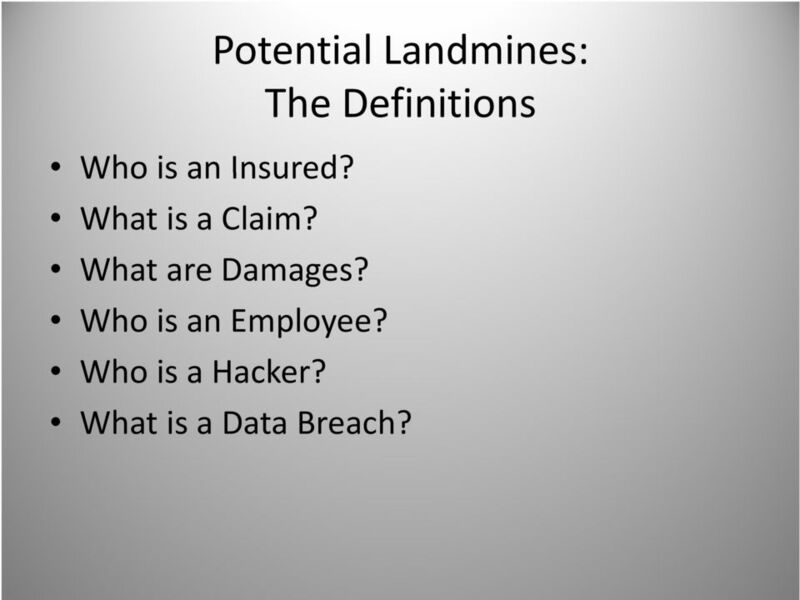 What is a Data Breach? Cyber Liability. What you need to know! PRESENTED BY: GALLAGHER / CYBERRISK SERVICES MAY 2014 2013 ARTHUR J. GALLAGHER & CO.